Ask fellow campers about "Summer Breeze Campground" and nearby attractions. It was a nice quiet camp ground. It had a really nice hiking trail. There is a nice outdoor pool but it was too chilly for us to swim. We left on the Saturday of Labor Day weekend. But even as the place got full with families with children it was still pretty quiet. We would go there again. We camped at Summer Breeze Campground in a Travel Trailer. Go to the Iron Mountain Information Bureau. There a lots of thing to do and see in the area. We especially liked the war museum and the Cornish pump exhibit. Close by in Norway is an Alpaca farm where kids can feed the animals and pet them. The gift shop there really nice things made from Alpaca wool. There hiking trails at Fumee Lake if you like walking. Some of the sites are very close together, there was literally 2 feet between our trailer and the slide out from the other trailer. Though there were many sites open. Most of the sites are quite decent from what we saw on our evening walks. The park is quiet at night and very peaceful. Our site was not level but then not many are. The bathrooms were spotless and very nice with full louvered doors on the toilets and showers. They have a swimming that is clean and used a lot. They have free dvds for campers along with tether ball and basketball. The WIFI is unless your up close to the clubhouse is useless. They do have a beautiful garden to sit in though while you are surfing. We have ATT and received a very good signal for internet access. OTA channels do not exist. The camp store is well equipped but the Ice Cream Social is a pay event and coffee is 69 cents A clean well kept campground that we would stay at again just not on our site. We camped at Summer Breeze Campground in a Travel Trailer. Rhinelander is a great town. Caching is great here and don't miss the Logging Museum. We had 100 caches in the Bear Bait power trail. A Copper Mine Experience is a great earth cache to go along with the Mine tour in Iron Mountain GC7A36D GC2XH0V Little White Church is a neat cache. Michigan Spirit Quest #40 GCW1YB is a spooky cache in a over grown cemetery. Be sure to check the Iron Mountain Mine tour and falls. The Cornish Pump and WW2 Glider Museum is well worth the money also. 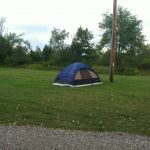 Lovely, well-maintained campground. Owners were polite and helpful. We were escorted to a long pull through site with water and 50 amp electric hookups. It was level and had plenty of shade. The WIFI was very good. The restrooms were exceptionally clean and attractive. The laundry room had 2 washers and 2 dryers with very reasonable prices. A couple of comfortable chairs and a book exchange were conveniently located in the same room. Although located close to a highway there was little noise. Very quiet at night. We camped at Summer Breeze Campground in a Motorhome. Nice spacing between sights. Parks needs some TLC and sites need leveling. Wifi was very weak - kept dropping off. No cable - no channels over air. Hosts very nice. They recycle! We camped at Summer Breeze Campground in a Motorhome. Husband and wife team. Wife checked my husband and I in. She was very unprofessional. I smiled and said hi and she would not even say hi to me or give me even half a glance. But she was quite friendly with my husband. Sites are gravel and clean. I felt as though I was camping in someone's back yard. Not really a real campground atmosphere. There's one trail that is nice. Has a pool but at the time we were there it was to cold to swim. Laundry is 2 small washers and 2 dryers, new and very nice. Will I stay here again? No! We have stayed at many campgrounds and I have never been treated this bad any where else. Beware also lots of ticks! 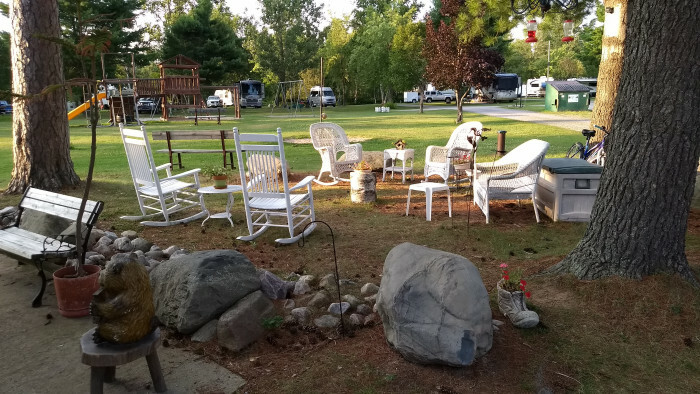 We camped at Summer Breeze Campground in a Fifth Wheel. Grass site, well manicured grounds. Sparsely populated due to the time of year. Walked the dogs around the CG and up the paved road a bit. A few miles out of Iron Mountain for shopping. They have a pool and a playground. Stayed for one night on our way to Copper Harbor, Michigan. We camped at Summer Breeze Campground in a Motorhome. Basic park, lots of trees, but we asked for and got a satellite site. Hookups are not arranged very well, and we had to use all our extensions. Owners friendly and helpful. We camped at Summer Breeze Campground in a Motorhome. Great place to stay when visiting Iron Mountain attractions. Very convenient to highway, but no road noise and no bugs! We camped at Summer Breeze Campground in a Travel Trailer. Highly recommend the Iron Mine and don't forget to stop at The Pasty Oven. We camped for one night in our 45 ft MH with toad. Pull through site with 30 amp and water. That's what was available when I called 2 months earlier. Spacious enough site, there was one lower branch on a pine tree but it just skimmed the roof. We could have gotten a 50 amp full hook up, and probably should have but we survived. It was a warm dry day in the high 80's. Decided to eat out instead of watching the voltage meters. Informative website! They are right, there were no bugs! We camped at Summer Breeze Campground in a Motorhome. We hiked (short but it's a hill) Piers Gorge in Norway, MI. It was beautiful and we watched the white water rafters as we hiked. Wow! If you enjoy white water rafting go here! Ate dinner at Storheims in Iron Mountain. It was decent, not a chain, but it's a better breakfast venue. Too bad they only serve breakfast until 11:30am. They also have many flavors and ways to spice up custard! We were mixed on our reviews of this campground. The new owners are really trying to make it good and there were lots of happy campers around us. 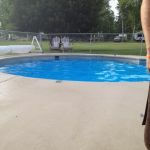 There is a great pool, playground, and recreational area. We liked the mini hiking trail and the firewood delivered to the site. Our complaint is with the utilities. We reserved 50A service. The first site assigned to us (29) had the sewer in the normal spot but water and electrical together about 25 foot from the right side back bumper. When we complained that we couldn't use the site, the owner berated us for not having enough extra hose and electrical cord. He did move us to another site with normal configuration while muttering that someone else might be angry that we took their site. Why not just explain that the site had weird configuration and offer to loan us the extensions? We were also given 30A (both sites) unknowingly but just dealt with not being able to use the appliances we wanted to use. A neighbor said there were 50A sites in another area that appeared to be filled with seasonals. Other than the above issue, this was a really nice park that can get better with a little work. We camped at Summer Breeze Campground in a Motorhome. The kids will love their time here. 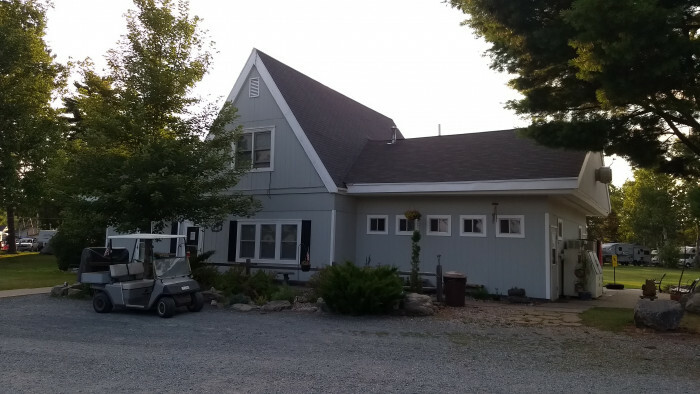 A great little gem in Michigan's Western Upper Peninsula. Trees and green grass make this a quiet place to stay. Restrooms and showers are very well kept. Nice little swimming pool to cool off on a warm summer night. Owners are very friendly and helpful. This all makes for an awesome stay. We camped at Summer Breeze Campground in a Motorhome. This park is under new ownership and the new owners are very friendly and helpful. Although the weather wasn't cooperative when we were there, it looks like it would be a really fun place in the summer months. The park is fairly wooded although we were able to find a satellite-friendly site. The bathrooms were very nice and the wifi worked well at our site. We camped at Summer Breeze Campground in a Travel Trailer. Nice, friendly staff. Dropped towed at office and they escorted us to our site and helped get the motorhome aligned with the hookups. Our site was big enough that we could have set up a volleyball court outside out door. They delivered the firewood to our site when we asked about purchasing some. Don't worry about the train tracks that run past the campground. We were there for 4 days and there was only 1 train, at 7PM, the first day. Pool was closed, but pool area looked nice. Hiking trail through the woods at the back of the campground. Really nice place. Easy access to Iron Mountain and Pine Mountain areas. We camped at Summer Breeze Campground in a Motorhome. Check out the Iron Mine and the Cornish Pump. There is a bat cave to view if you are so inclined. And check out the ski jump at Pine Mountain. Good size pull through sites, some shade but open enough for satellite. Decent wifi and other utilities. Pleasant owners. Mostly grass sites but ours had a big muddy place where a rug was placed for a long time. We camped at Summer Breeze Campground in a Fifth Wheel. A nice park outside Iron Mountain with very large sites and friendly management. This is our 3rd visit to this park and each visit has been a pleasant experience. There is a nearby train track, however it is very lightly used and we only heard a train once during this 4-day visit. Washers and dryers were present and reasonably priced. Our site was well shaded and thus not satellite friendly. We camped at Summer Breeze Campground in a Motorhome. A visit to Piers Gorge in nearby Norway, MI is worthwhile. For hikers/bikers, the Fumee Lake Natural Area's 1800 acres is recommended. Spiro's Downtown Restaurant in Iron Mountain is our favorite restaurant in the area. A visit to Piers Gorge in nearby Norway, MI is worthwhile. For hikers/bikers, the Fumee Lake Natural Area's 1800 acres is recommended. Spiro's Downtown Restaurant in Iron Mountain is our favorite restaurant in the area. Iron Mountain is very close by. Great Mexican Food in Iron Mountain at Carlos Cantina. Also the Farmer's Market is very good. We visited the Iron Mine and enjoyed the tour. Also don't miss seeing the ski jump as well as drive up the road to Iron River if the trees are turning--we did and saw some beautiful trees. 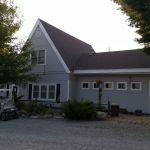 Great location, close to town and area attractions. 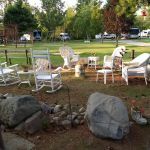 Are you affiliated with Summer Breeze Campground ?